As highlighted in 2012 Budgets, households with a monthly income in between RM500 to RM3,000 will be eligible to participate in Skim Amanah Rakyat 1Malaysia (SARA 1Malaysia). The scheme will be opened starting 30th January 2012. The scheme is a hybrid of a unit trust investment and loan product, capable of generating consistent cash flow or monthly incentives. Under SARA 1Malaysia scheme, the eligible participant may invest up to RM5,000 into the scheme for the period of five years by using their own money or taking a loan from either Maybank, CIMB, RHB Bank or Bank Simpanan Nasional. The loan repayment period is five years. The money will be invested in the Amanah Saham 1Malaysia (AS 1Malaysia) fund, and the participants will get attractive incentives on the investments they make. The monthly incentives will be paid to participants in the form of additional AS 1Malaysia units, and the investors have to ensure that they make monthly loan payments for five years. The investor expected to get a very attractive net return at the end of the five-year term. For those who invest by using their own saving will get RM8,000 profit while for those who taking loan will get RM3,000 profit. SARA 1Malaysia will be managed by a special purpose vehicle (SPV), Malaysian Development Holdings Sdn Bhd, a wholly owned subsidiary of Finance Ministry Incorporated and will be implemented by PNB. The scheme aimed at encouraging the lower-income group to save and invest. 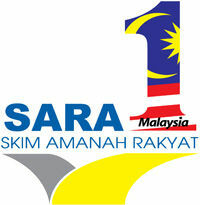 What do you think about SARA 1Malaysia? From calculation, it generate a whopping 32% return per year!! 32% return, but only for household or individual income below <3k? wow!! i wonder how they can guarantee suce high returns. to get return of 10% from mutual trust investment nowadays is already hard not to mention 32%. anyway, it is good news to those who are eligible. It is only for household income <RM3k per month. Also the investment is limited to RM5k. jess, it is implemented by Permodalan Nasional Berhad (PNB). Registration will start on 30th January 2012. Mcm cara nak registers for this scheme? Dan dimana nak memohon? Kindly refer to More Information on Skim Amanah Rakyat 1Malaysia (SARA 1Malaysia) for update regarding this scheme. its halal? what kind of investment this skim do? Sorry for many chinese written in there, but the discussion is important. If there is such good invesment, why not the government just allow the whole country to invest in it and get our country richer? So think twice before invest. Wish u all good luck. Would like to know, how to get the 32% as [(8000)/5000]^(1/5)=1.099 which equal to around 9.9% per year….Am I wrong? After plus and minus, the participant will get rm 50 a month(monthly earn rm 134 , pay back loan rm 84). 5 years equal to Rm 3000. Which means the Gov want to help a low earn income(below rm 3000) worth less then Rm 3000 (after calculating depreciation of money invested in that 5 years duration ) which is less than Rm 600 a year = Skim Bantuan Rakyat. For those who don’t apply loan will get rm 1600 per year. (Logically very seldom below Rm 3k earner got Rm 5k saving) Based on this fact, we realize that the gov want to win heart of the people by helping them the hardway’. a political agenda!. Kalau income bawah 2k boleh ke?